Electrical Services Cincinnati: Is it Time for New Outlets? You rely on your electrical outlets each and every day, but sooner or later, they will need to be replaced or you may need additional ones installed. #1. You are constantly using extension cords. Are there just not enough outlets to plug in everything that needs to be plugged in? If so, you may find yourself using extension cords on a regular basis. While extension cords are fine for short-term use, they were never meant to be a long-term solution, and keeping things plugged into extension cords permanently could increase your risk for an electrical shock or fire. You could unplug extension cords when you are finished using specific devices and appliances, or better yet, you could have additional outlets installed in your home so that you no longer need to use extension cords. #2. Your outlet plates have cracks. Many people believe that outlet plates are simply there for decoration, but the fact of the matter is that they are very important. If an outlet plate becomes cracked (or is missing), it can let dust, hair and lint into the outlet. When debris gets inside of your outlets, it can act as kindling. Electrical fires aren’t the only risk of dust and other debris in your outlets; in extreme circumstances, these things can also lead to explosions. If you’ve been living with outlet plates that are cracked or missing, don’t just replace the plates, get them outlets inspected by an electrician to ensure that damage hasn’t already occurred. #3. Your outlets are ungrounded. If your outlets have two prongs instead of three, then they are ungrounded. Not only are ungrounded outlets outdated, they are also potentially dangerous. Grounded outlets have an additional ground slot, which is the third, round prong on the outlet. This third slot provides electricity with an alternative path from an appliance or another electrical. Grounded outlets reduce the risk of shocks and electrical fires, so if your outlets aren’t grounded, it’s time to get them replaced with grounded outlets. #4. Your plugs always fall out. Do you find that your pugs are always falling out of or becoming loose in your outlets. Over time, the constant plugging and unplugging can cause the spring mechanisms in your outlets to become loose, which leads to loose connections. Loose connections can cause arcing, which is an electrical safety hazard. If plugs are regularly falling out of or becoming loose in your outlets, get your outlets replaced. 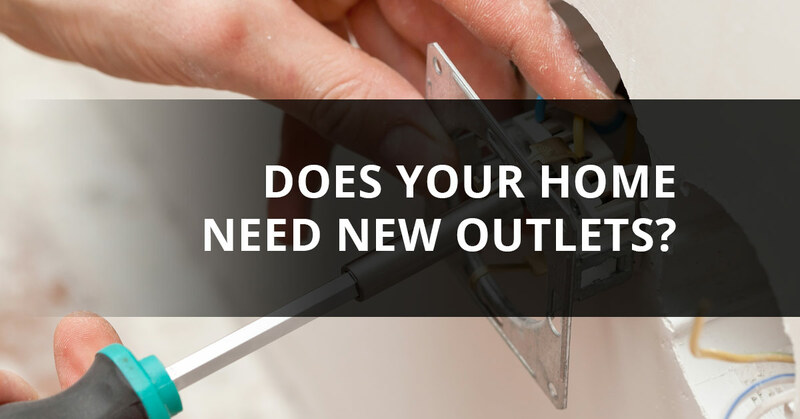 Is it time to install new outlets in your home? If so, schedule the electrical services you need in Cincinnati with ElectricMasters today! We offer competitive rates, and our electricians are some of the best in the business. Contact us today to schedule the electrical services you need!